Sunday Funday is more of a religion on Rainey Street. Start with a French bistro brunch at L’estelle, stop in at any of the bars for mimosa specials, and make your way to Icenhauer’s to dance at Super Soul Sundays with the Love & Happiness band. Eschew Tex-Mex for traditional Mexican specialties like huevos rancheros and chilaquiles at El Naranjo&apos;s Sunday Brunch. Emmer & Rye: Headed up by Chef Kevin Fink, voted one of Food & Wine’s Best New Chefs, this hotspot serves inventive grain-forward dishes and a circulating dim sum cart. Ask the bartender for the “Russian Roulette” special. They pick the drink, you ride the ride. Royal Blue Grocery: Not your ho-hum market, swing in for gourmet grab-n-go treats, bottles of wine, fresh flowers and sundries. 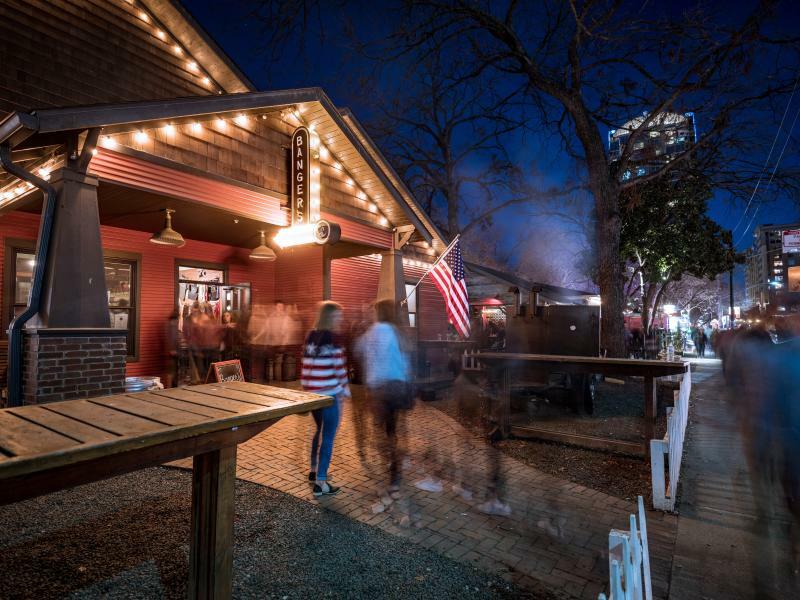 Banger’s Sausage House & Beer Garden: Beer lovers take a moment of silence for the largest tap wall in Austin (add to it antelope and venison dishes for a full Texas experience). Swing by on Sundays for the Big Band Brunch and be sure to ask about their featured sip, the Manmosa. Little Lucy’s Mini Donuts: Savor fresh, hot mini donuts with your choice of flavored sugar in adorable pink bag. 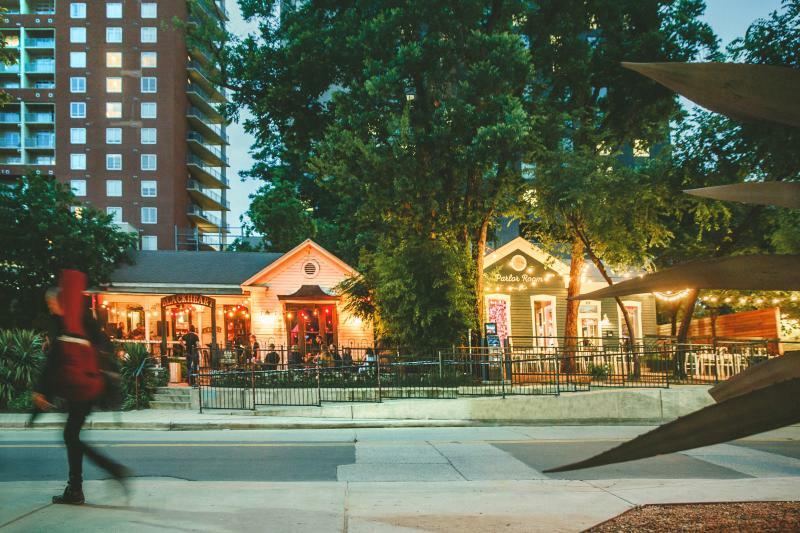 Rows of historic bungalows have been transformed a lively scene of bars on Rainey Street. Staying true to Austin&apos;s roots, this strip of bars often features live, local bands. Discover DJs dropping beats at the aptly named Container Bar, a multilevel hot spot built from shipping containers. Home to a Clinebell ice machine, Half Step cocktail bar will please even the haughtiest cocktail snob. Or, kick up your boots at Craft Pride, a rustic bar with 50+ Texas beers on draft and Detroit-style pizza at the Via 313 food trailer out back. Lustre Pearl: This popular bar anchored the Rainey Street District development and continues to be a popular spot representing everything Austin has to offer. Clientele ranges from the professionals, the weird, the hippy, and hipsters alike. Hotel Van Zandt: Inspired by the Austin music scene, walk beneath the brass instrument light fixtures to enter this boutique hotel that also houses restaurant Geraldine’s and a well-edited host of cocktail and music-themed gift options in Cafe 605. Clive Bar & Bar Illegal: This handsome bar serves a mean martini, while the secret bar in the back specializes in mezcal. Lucille Patio Lounge: Swing in the hammock off the extensive patio or enjoy a board game inside the charming bar. The Emma S. Barrientos Mexican American Cultural Center. Courtesy of the City of Austin. Austin&apos;s diverse culture is not just contained in a museum but sprinkled throughout the entire city. 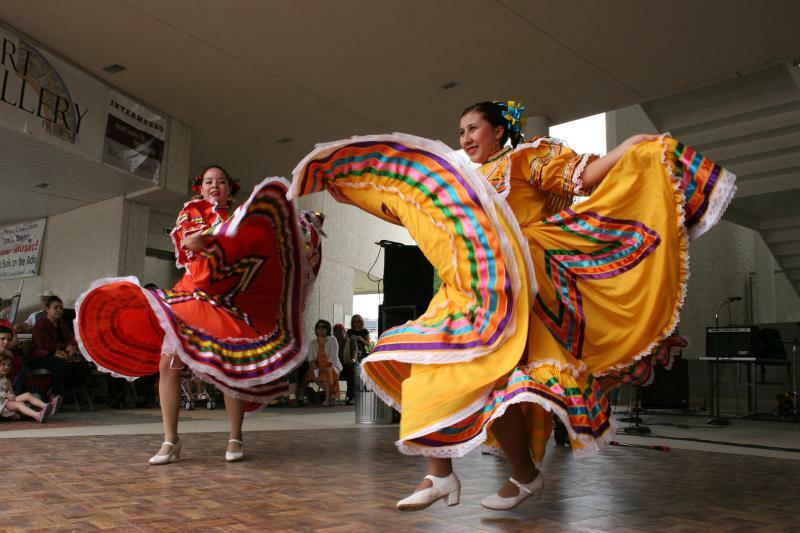 Learn about the cultural arts of Mexican-Americans and other Latino cultures via the gallery, exhibits and special events at the Emma S. Barrientos Mexican American Cultural Center (MACC). Then, join the Tejano Walking Trail which begins from the MACC and guides visitors through the heart of the historically Hispanic East Cesar Chavez and Holly neighborhoods. The Tejano Walking Trail covers an expansive part of American history in a loop of just under 5 miles.